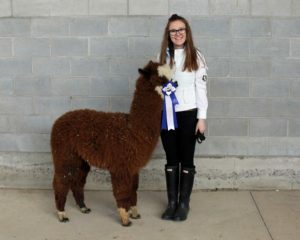 Seven years a farm, and we are a family that has learned many truths raising alpacas. Seven years later, we are happier than ever with the decisions we have made, the friends we have found, and the business we have developed. Many truths have revealed themselves along the way. 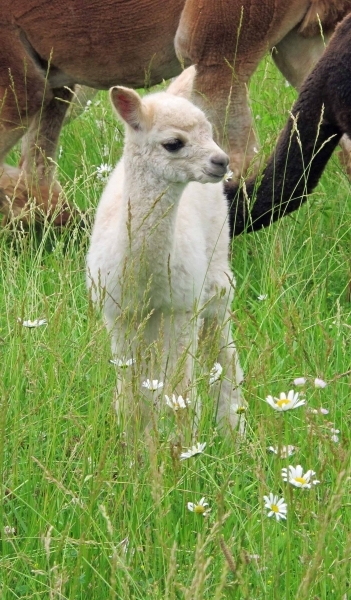 Wondering what alpaca farming is all about? Truthfully – it’s a blast! Truth be told, getting started is easy. We have evolved to specialize in farm starts and have had the pleasure of working with many new farms in their early days. There are good people out there to work to help you build your herd and establish your farm. There are great resources to consult when researching your new adventure. You should be well prepared. Do your research. 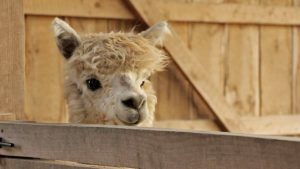 Understand alpacas and what they need. Ensure you have a good mentor to consult with in those early days. And once you are prepared, just do it! We recently worked with a couple who relocated from the city to rural living. They now operate a successful goat farm and agri-tourism business which includes alpacas. Like us, they get asked all the time, “how did you do it?” She wonders why more people don’t just do it. providing fresh water, and cleaning up the bean pile they all use, making clean up very easy. You will need to provide shade from the hot sun in summer, and shelter from winds and rain, but with something as simple as a 3-sided shelter, alpacas thrive in all four seasons. 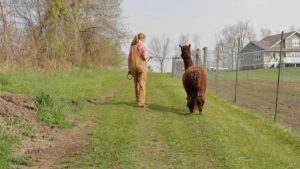 Before you begin alpaca farming you will have a lot of questions, but after you begin, you will have even more. Each day will be a new adventure. But truth be told, you will be surrounded by a support network of other alpaca farmers who are here to help. 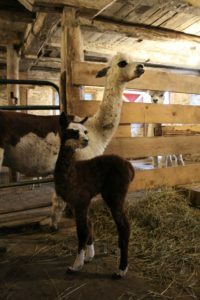 The alpaca farming community is a fantastic network of positive, supportive individuals and families who have a passion for what they do, and are generously willing to share their knowledge with others. Don’t underestimate the value of this network. 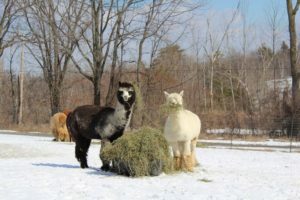 Even some vets with minimal camelid experience rely on the knowledge of experienced, well-connected alpaca breeders who share knowledge and experience. 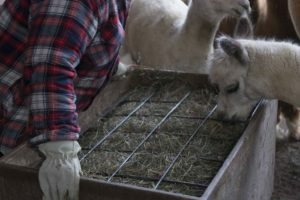 If you like to be hands-on, you will enjoy alpaca farming. Anyone contemplating raising livestock will have one key concern: vet bills. 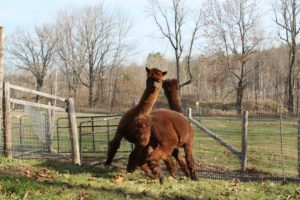 When we considered raising alpacas, my concern was with the costs of vet visits for vaccinations, illnesses, injuries, birthing traumas and other problems. Two truths come into play. First, truth be told, alpacas are as healthy as you’ve been told. You rarely experience health issues in a herd where good nutrition and health care practices are observed. Birthing is, as reported, an independent event that rarely requires human intervention. In seven years, our experience has confirmed what our research told us – that alpacas are healthy, easy animals to care for. And truth be told, you can do a lot of the healthcare yourself. The simple administration of needles (vaccinations, worming and vitamin supplementation) can be done yourself. If you maintain a safe pasture and good herd management practices, you won’t need to pick up the phone and call the vet in emergency situations. On our farm, we ensure a safe environment and prevent injuries by keeping fighting teeth trimmed so males can’t cause injury to one another. We mend fences and ensure there are no protruding objects like nails or fence wires to snag skin and create wounds. And we integrate young males with mature males when the time is right to ensure no one gets bullied or hurt. But as easy as day-to-day can be with alpacas, it’s not all easy. As with anything, there are challenges along the way. Truth be told, shearing day is your biggest challenge, and your greatest triumph. 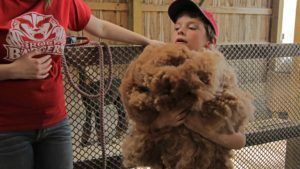 Shearing is the single-most important, tough and rewarding day of the year on an alpaca farm. On our farm, we plan it with military precision so as to ensure everything runs smoothly, and to ensure that the more than 20 volunteers that come to help have a great experience. This is the day that you get your hands on each of your animals, do health checks and administer any health care that is required (teeth & toe trimming, vaccinations, deworming, etc). It’s the day we take photographs (before & after) of each alpaca for their files. And the ultimate reward, at the end of this hard day, is your annual clip of fleece laid out before you – the result of a year of good work. processing that feed to its maximum value. 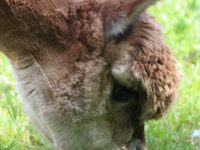 When compared to other grazing species, alpacas do far less damage to pastures, shearing grasses, rather than pulling them. And feed goes far. A single bale of hay can feed up to 20 alpacas in a day. On our farm, we have anywhere from a dozen to over 20 alpacas each year which we feed an average of 350 bales annually. And while these simple truths have revealed themselves, there is a complexity to raising alpacas as well. Truth be told, breeding is part art, part science. One of the challenges and benefits of alpacas is that they come in 22 different natural shades and colours. On our farm, we embrace colour, but the industry preference is white, and other farms will breed for a specific colour, such as prized blacks and greys. Whatever your preference, we have learned that the science of genetics and colour often gives way to the art of Mother Nature and all the surprises that come with it. That said, good breeding can lead to some good results. Even those who start with an entry-level herd can end up in the show ring with the right breeding choices and a focus on improving their starter stock by breeding up. Truth be told, breeding up works. Good breeding choices yield good results in just a generation or two. No matter where you enter this market, within a few years you can be in the show ring and producing stock and fleece to be proud of. There’s no question that you will experience personal rewards raising alpacas, but truth be told, it’s a business. 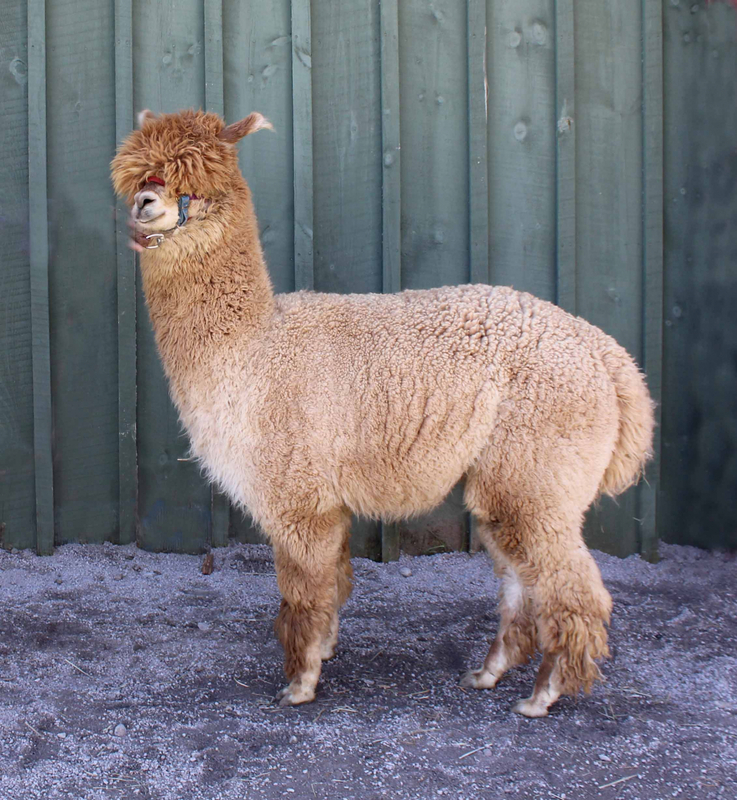 Alpacas are ideal for hobby farms. But if you plan to run your farm as a business, there are profits to be made. Alpacas fit nicely into the idyllic scenes of hobby farm life, and your days will be filled with moments like these. Consider these an on-the-job bonus. Be ready to work, plan, strategize, and stay active year round. If you love this, alpacas are a business you will love. And truth be told, there is money to be made. In just a few years we were able to make our farm profitable, despite battling some health and family challenges in those early years that should have seen us buckling at the knees. 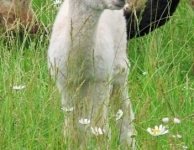 Instead, due to the simplicity of alpaca care and support from others in the business, we were able to carry on and find our way to profitability. There are a number of profit centres you can focus on developing, including breeding, fibre production, retail sales, agri-tourism and consulting. That diversity of opportunity creates opportunities for success. But you can’t be all things to all people. As we developed our farm business we soon learned that truth be told, you have to pick a lane to be successful. Unless you are farming full time, it helps to have a focus. For us, it became clear that our passion was in the breeding side of alpaca farming. We enjoyed the science of improving our herd, year over year, through the choices we made by careful breeding. But the greatest reward is the opportunity that being a breeder provides for us to help others start their alpaca farms. And while that specialization allows us to be successful in our own lane, it also allows us to work with other farms to promote what they do and add to their success. When we receive requests for farm tours, we refer them to neighbouring farms in our “farm family” who specialize in agri-tourism. 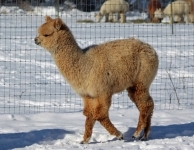 We refer customers looking for alpaca products to another farm in our family who have a passion for all things retail. And that same farm is where all our fibre is now sold to be turned into exclusive Canadian-made products. 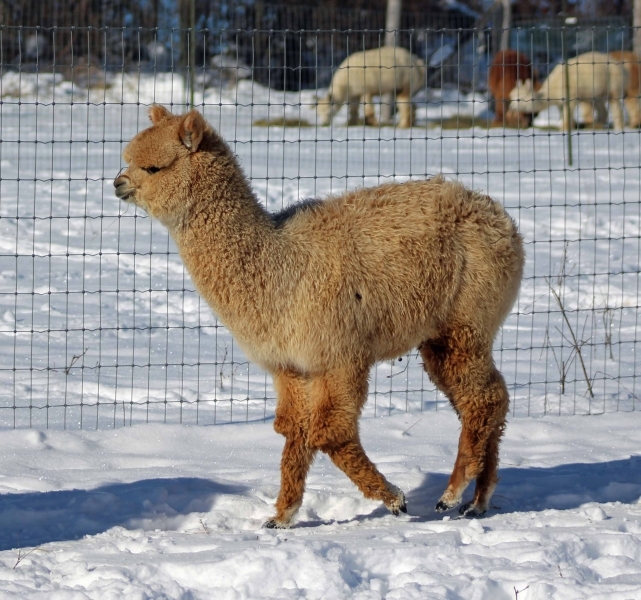 Alpaca farming is a business, and the forecast for business is booming. Truth be told, the market for both fleece and livestock is growing. 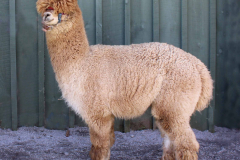 Over the past 7 years we have watched alpaca farming transition from being considered an “exotic” hobby farm pursuit, to a mainstream fibre farming business. The fascination with these charming and productive animals has grown and caught the attention of the media. Our experience is that demand is growing for livestock. And the market for fibre has grown to the point that we see less direct marketing of fibre by producers. With such demand for alpaca products, several farms are now aggregating fibre, creating a demand. 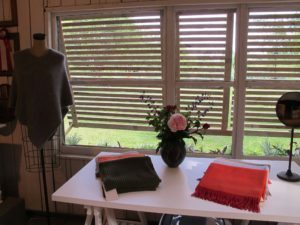 Alpaca producers now have choices, selling their fleece directly to customers, to other farms, coops and more. Truth be told, we have watched many others jump on board alpaca farming over the past 7 years, creating breeding, agri-tourism, fibre and hobby farms. It’s a real joy to watch others discover alpaca farming, some turning it into a business, others their passion. Tell the truth – wouldn’t you like to try it too! Originally published in the June 2016 issue of Camelid Quarterly. A special thanks to the editors for their permission to reprint.